Last Saturday we had our Grand Opening Event, and it was everything we hoped for and more. So many good people came out to try our wines. We saw some old friends and met some new ones. It is so gratifying, after spending so long planting and growing grapes, building a winery, and making the wines, to find that people really do like our wines. I mean, WE always knew we knew what we were doing, but validation is GOLD. I especially want to thank Erika Aylward, Tim Monger, Lauren Utter and Nick Lepeschkin-Noel for helping to make our event special. Erika did the cheese trays for us, with cheeses from her Boulevard market in Tecumseh beautifully arranged. She always has a delicious supply of domestic and imported cheeses, along with cheeses from Four Corners Creamery, made in Tecumseh by her husband John Aylward. Boulevard also has all kinds of unique gourmet foods, wine, and beer. Such a fun place to browse when you want something special. If you need a cheese plate for a special Christmas gathering, I highly recommend Boulevard. 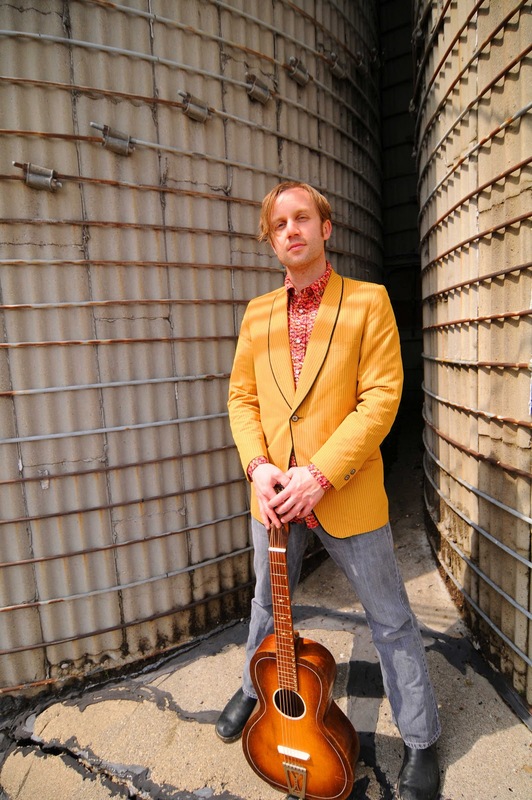 Tim is also a founding member of the music group Great Lakes Myth Society, and will be with them on New Years Day at 11:45 playing Mittenfest at Woodruff's in Ypsilanti. Nick and Lauren are our Media Team and they came to shoot photos and video of the event. When things got very busy very fast they moved in to help with sales and customer service and I don't know what we would have done without them. They also brought some delicious homemade breads to go with our wine that were very well received by our customers. We were very excited to set some all time sales records for Flying Otter last Saturday. Considering it was our first day that wasn't too hard, but I'm sure it will be a while before we are able to top it. We are down to only one case of 2010 Northern Lights, so if it was your favorite, you might want to stop by to be sure you have some for Christmas. We will release our 2011 Northern Lights in early 2012. We are now open for business, but our hours are somewhat flexible. We are open Saturdays and Sundays through December 18th from noon to 6 PM. We can be open by appointment, just call to let us know you are coming and we will make arrangements. If you are in Lenawee County we will deliver an order of 3 bottles or more to you. Just call 877-876-5580 or email info@flyingotter.com for delivery. You can order through our website and mark it "hold for pickup at winery" and we will have it ready, or email for local delivery. If you are farther in MI, we can ship via Fedex. We recommend at least three bottles to get the best deal on shipping. Outside of MI, we regret that we do not yet have licensing to ship outside the state. Each state requires separate licensing and we are currently evaluating the regulations to determine where it will be possible for us to ship. We want to thank everyone who helped spread the word about our Grand Opening to make it so successful. We thank the Daily Telegram,Michigan Wines, Sue Osgood and Food For Thought Magazine, Michigan By The Bottle, Pure Michigan, Local Harvest.org, and others and so many of our Facebook friends for getting the message out. We are looking forward to growing our business, with your help, and making our wines at our Lenawee County home in the years to come. 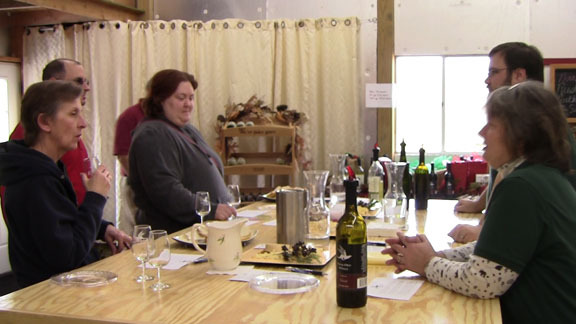 Southeast Michigan is becoming a new Michigan Wine area, and we are happy to be a part of a growing wine community. Thanks to everyone for giving us a fantastic start! Flying Otter Audio Podcast #1 Released! As part of our ongoing effort to educate and entertain we will periodically, on a somewhat regular basis, be publishing a podcast. 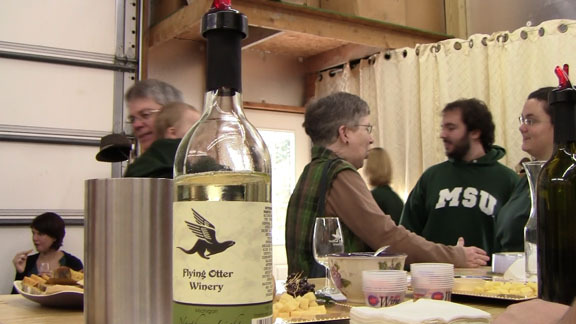 The first podcast features Bob and Linda Utter discussing the origins of the Flying Otter Winery. Future podcasts will feature Jeff and Sarah Utter, co-founders of the Flying Otter Winery as well as other distinguished wine and winery related guests from our local area here in Southeast Michigan. We hope you enjoy the podcasts and we welcome your comments and feedback. If there is anything in particular that you would like us to discuss, just let us know. If you use iTunes to listen to podcasts, just search for "Flying Otter" in your iTunes app. Flying Otter Winery Grand Opening! It has been a very interesting journey, but we are finally nearing a major milestone for our family business. We hope you will join us for our Grand Opening Event on Nov. 26th, 2011 from noon to 6 p.m. We will have wine tasting, conversation, musical entertainment featuring Tim Monger (http://timothymonger.com/), and additional treats and surprises. We are located at 3402 Chase Road, Adrian, MI 49221. Visit www.flyingotter.com for more details, maps, and more.